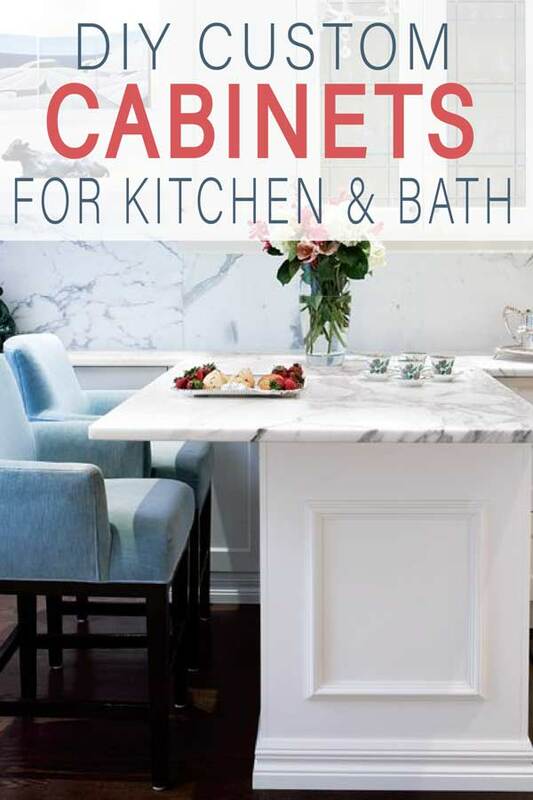 In a perfect world, we would all have gorgeous kitchens full of custom cabinetry that is specifically designed to fit our needs, match our style, and it’s all completely free. Of course, this is an interior design fantasy (although it’s fun to think about). In reality, most of us are stuck with the stock cabinets that were mass produced and ordered by the millions by every contractor in the country. 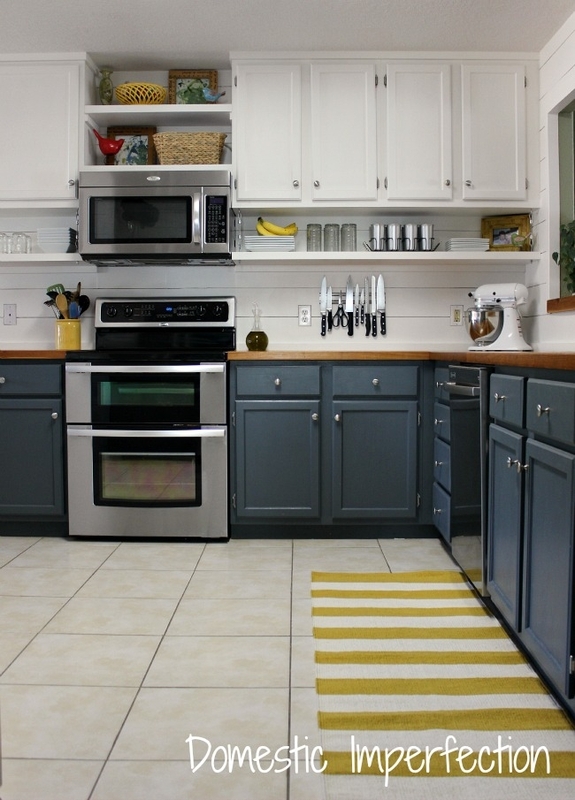 Updating a kitchen with stock cabinets will run you about $100-$200 per foot. Compare that to custom cabinets that reach up to $1200 per foot. Yeah, that is when my dreams were crushed too. Just because you have stock cabinets doesn’t mean you’re stuck with cookie cutter style. 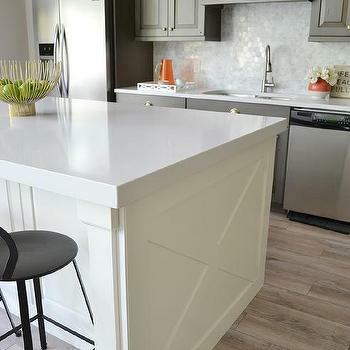 Here are five ways to update stock cabinets to give your home a completely custom look without any demolition, remodel, or hefty invoice. 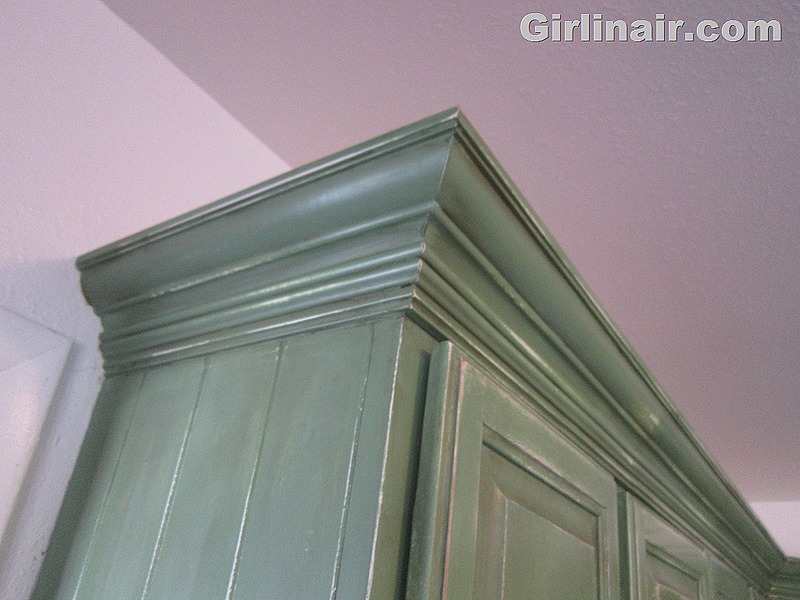 Paint is one of the easiest way to update stock cabinets. You can give them a whole new look with a fresh coat of paint. If you’re going to the trouble of painting, you ought to just add crown molding while you’re add it. Crown molding is easy to purchase, and simple to install. Don’t you love the look of these kitchen cabinets. A Glaze finish and crown trim were added to accomplish this classic Tuscan look. If your stock cabinets usually stop short of the end of the wall, extend the end using a plain panel that matches the depth of the cabinet. 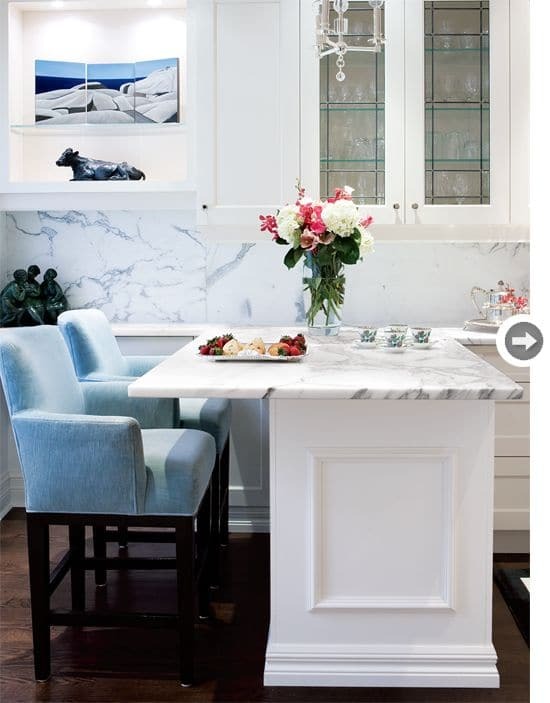 A panel at the end of cabinets give a polished look. This example was achieved by using a little molding to create the center square. This end panel features the farmhouse style, with two narrow beams crossing at the center. Use liquid nails to adhere your trim pieces for a lasting effect. With a few scraps of plywood, some screws, and a little paint, you can add “feet” to your cabinets to give them a more upscale look. It’s a small addition, but it can make a huge difference. As long as you have cabinets that are already painted, it’s pretty easy to match the color by taking a sample to your hardware store. Sometimes stock cabinets are uncharacteristically short. This can be a problem, especially if you’re exceptionally tall. 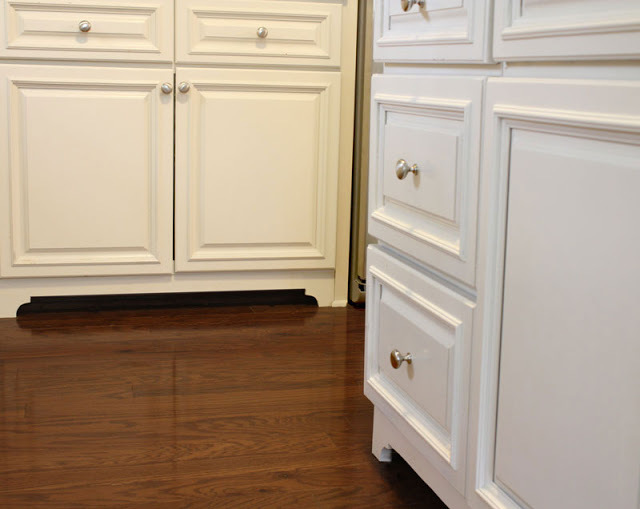 Adding a few inches of height to stock cabinets is relatively easy, especially if you do it at the same time you’re installing the cabinets (this eliminates the need to remove the countertop). 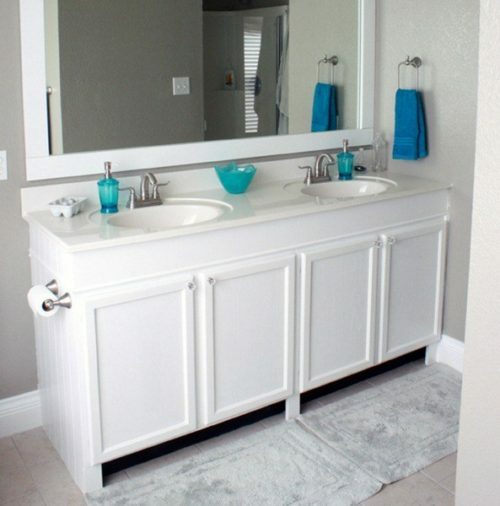 Add a flat panel for height, paint it all beautifully, and add the countertop. This is perhaps my favorite option because I’m a sucker for shelves. Simply by adding a separate shelf underneath your existing cabinets, you instantly elevate your look and create a custom kitchen with one simple addition. Sometimes the best way to remake stock cabinets is to give them a completely new purpose. This beautiful sideboard is created with three individual base cabinets and a little molding. A stunning piece repurposed and completely custom.